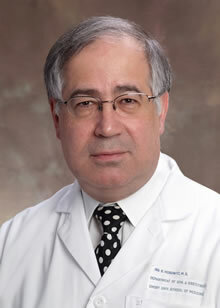 Ira R. Horowitz has been appointed chair of the Department of Gynecology and Obstetrics, Emory University School of Medicine, and section head of Gynecology and Obstetrics for the Emory Clinic, effective immediately. Horowitz has held the position of interim chair of the department since the fall of 2010. Horowitz joined the Emory faculty in 1992, was appointed professor of gynecology and obstetrics in 1999, and also received the Willaford Ransom Leach Professorship in Gynecology and Obstetrics. He holds a joint appointment in the Winship Cancer Institute of Emory University and has served as associate director of The Emory Clinic since 2005. "I have enjoyed being a part of the Department of Gynecology and Obstetrics at Emory for almost 20 years," says Horowitz. "Now I look forward to leading the department in its continued mission of outstanding patient care, cutting-edge research and exceptional teaching of the next generation of physicians." Horowitz also serves as the chief medical officer of Emory University Hospital and medical director of Emory Healthcare’s Office of Risk and Insurance Services. "Dr. Horowitz is an outstanding gynecologic surgeon and has practiced at Emory for many years," says John Fox, president and CEO of Emory Healthcare. "He serves on numerous national and international committees and is a highly sought-after speaker on topics related to gynecology and obstetrics issues. We are delighted to appoint him to this new role."